These are the basic things you'll want to pull together before you start. But really the basic's are carstock paper, scissors and water. 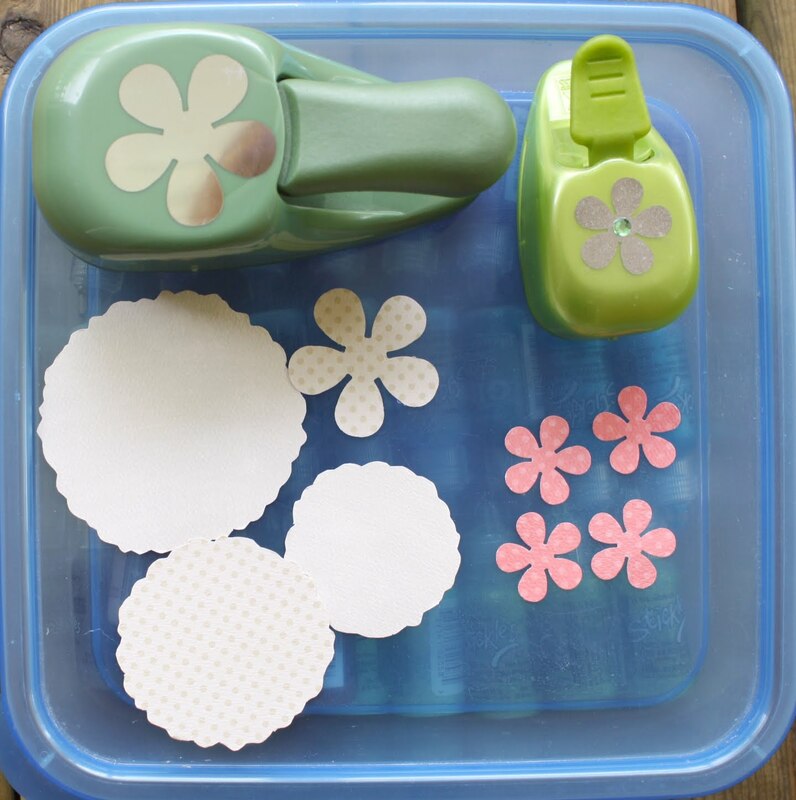 Here are the steps to make these fun blooms. 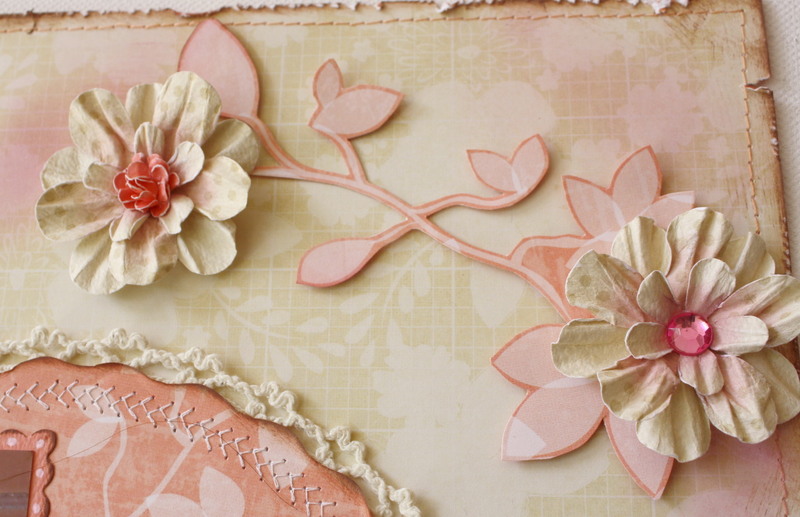 For the large bloom, I punched 4 medium sized blooms out of the coral dot paper (using the Paper Shapers med. daisy punch), one large bloom from the Chiffon cardstock (using the large daisy punch) and then hand-cut 3 jaggedy edge circles (getting slightly larger than the last circle as you go....the circles do not have to be perfect, in fact imperfect circles will give a more natural look). 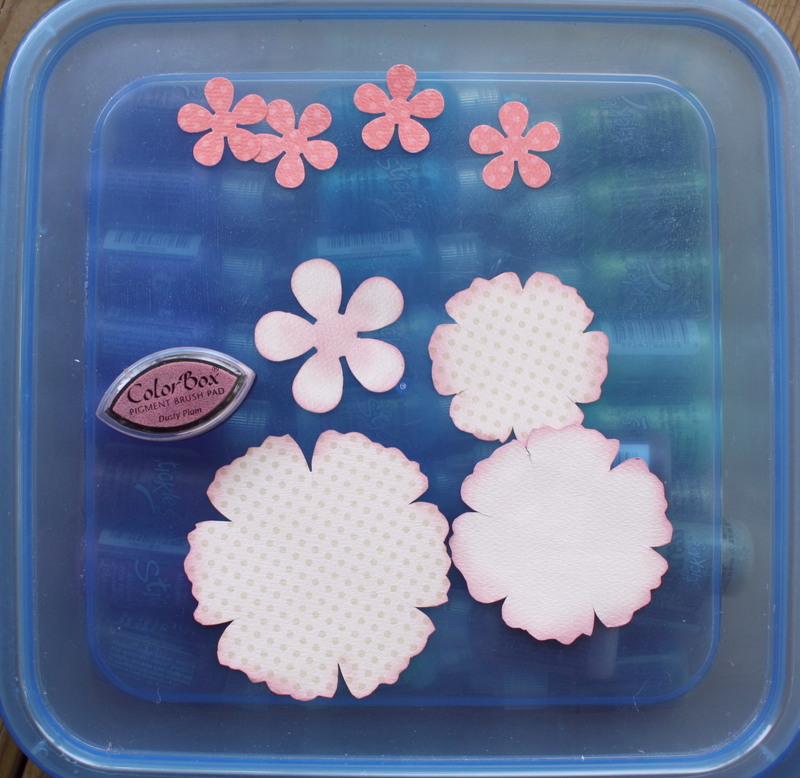 I used a regular scissor to cut the circles but you can also experiment with decorative edge scissors. NOTE: If you don't have flower punches you can simply cut more circles in smaller and smaller sizes to create a lovely looking ruffled bloom. Make sure your paper pieces are on plastic or something water resistant (I used the top of one of my tuperware storage boxes). 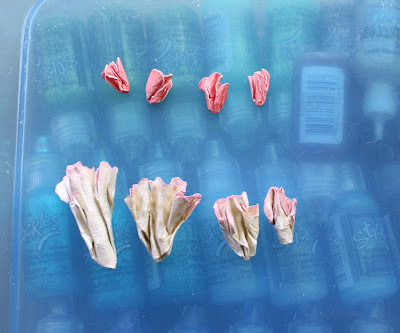 Very lightly spritz both sides or your cutouts with some water. You do not have to soak them, a light hand with the water will do. Let the layers dry. 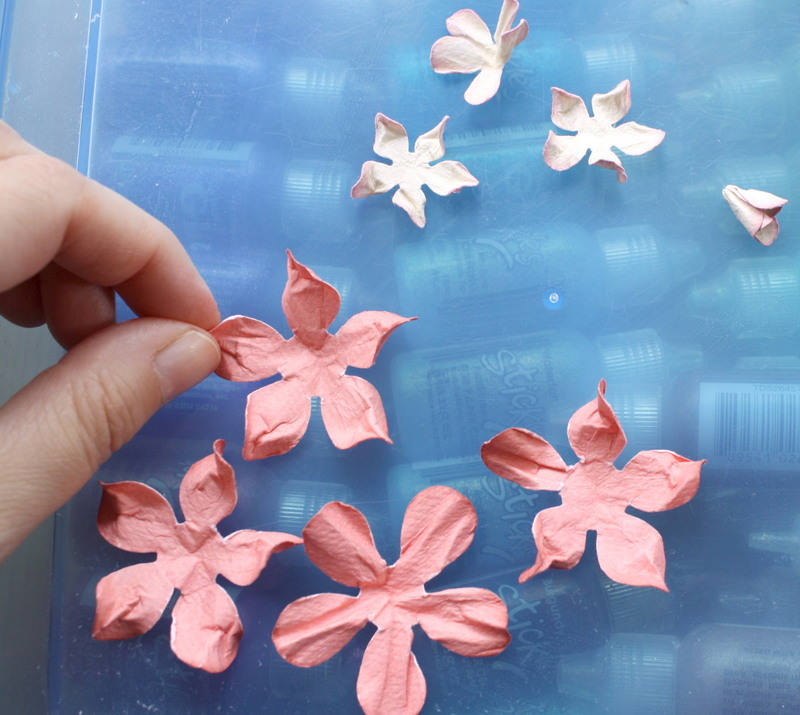 Now simply layer the petals from largest to smallest adding a dab of glue to the center of each layer to keep them together. 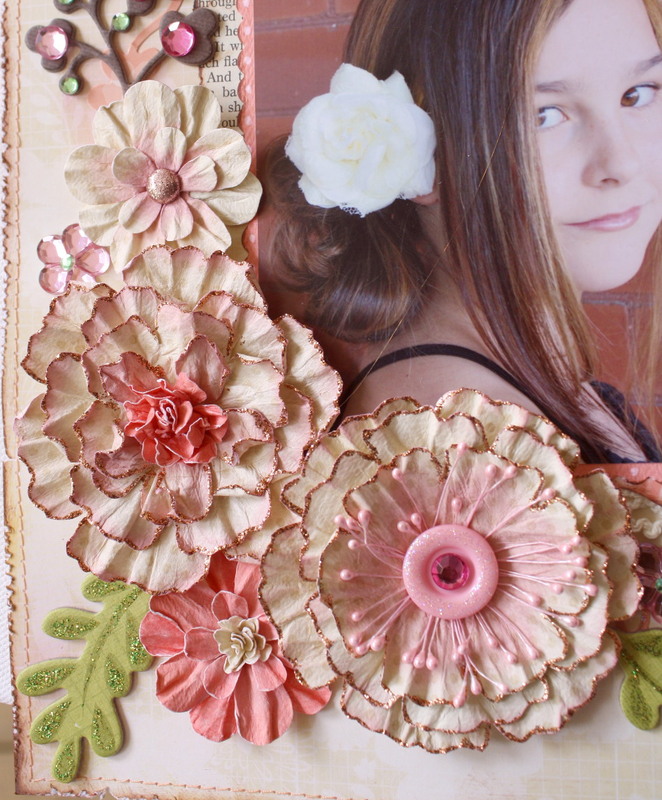 The large bloom to the left in the photo below is the result of the above steps (I added some Copper Stickles to the edges of my bloom to finish it off) You can also create different looks using buttons, bling & flower stamens. 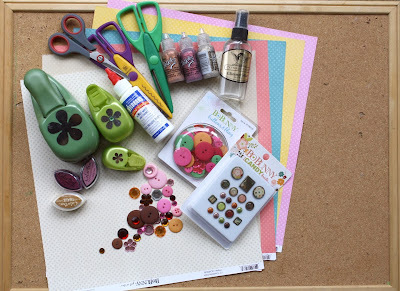 Olivia Chipboard, Olivia Combo Stickers, Bo Bunny Buttons & Bling, Bo Bunny Candy Brads, Cardstock: Bo Bunny, Chiffon dot and Coral dot. This is fun and a wonderful lay-out thanks for showing. Wow Gabi how beautiful is this girl!!!! Your blooms are...well outstanding!!! That layout is georgous! And those flowers are amazing, thanks so much for sharing with us, i will have to try a few of those! I have always love your work since I saw it on an MB and I am glad to have found you here. Marvelous piece of art as always. Wow, that is fantastic, Gabi! 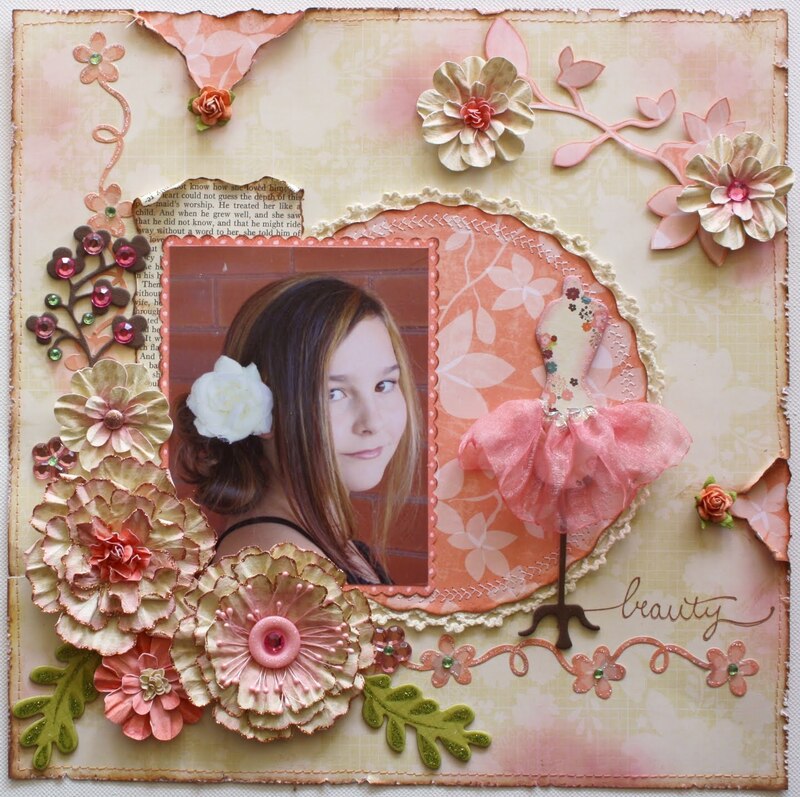 What a stunning layout and flowers! Gabi, this is gorgeous as always! Great tutorial and your flowers are fab girl! ..and thanks so much for the great tutorial! Those flowers look georgous! Great tutorial! LOVE those flowers! WOW, amazing job ! i would of never thought these where handmade flowers.. stunning. Thanks for sharing the tutorial :) i love it! WOW! Prima, eat your heart out, LOL ;) GORGEOUS flowers! Thanks for sharing! 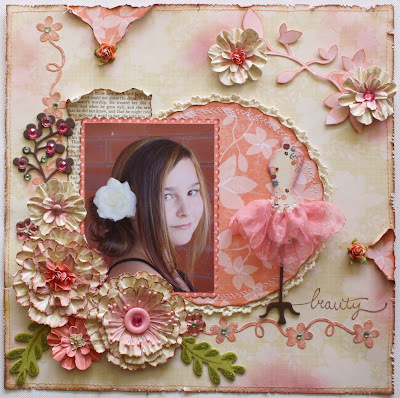 this is a lovely layout and a great tutorial! These flowers are stunning and your tutorial is super easy to follow - thank you for sharing with us! Lovely blooms indeed! I did this recently on a layout and I must say it was quite therapeutic to scrunch them up! Check out my October "My Mind's Eye" giveaway and see how you could win. These flowers are amazing. They certainly don't look hand made. Must have a go. Gorgeous flowers Gabi!!! Love this!! Always been a fan of yours Gabrielle! Love your work and love your flowers - will try these and some of my own variations for sure :o) Thank you for sharing. breathtaking - thank u 4 the awesome tutorial. Fantastic tutorial!! Beautiful layout too! Wow,beautiful flowers and a magical L/O!!! Gorgeous flowers! Sure make it look easy! LOL! WOW!! I love this! Your layout is breathtaking! Truly stunning!! Your flower tricks and just fantastic! Thank you for the detail instructions! Beautiful! The flowers are wonderful. 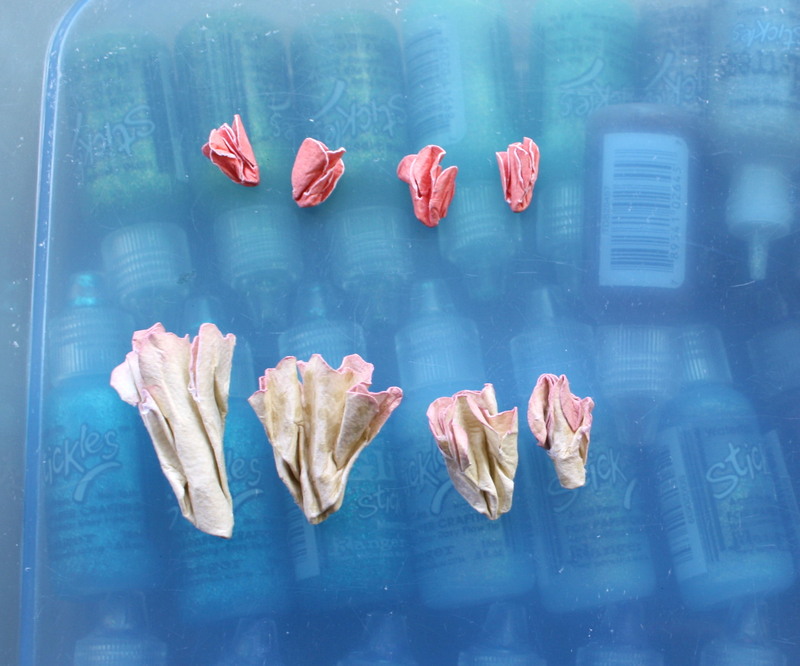 Im all about flowers. I use them everywhere and even on stuff that isn't scrapbooked. Thanks for showing us how easy and beautiful they are. Gabi, you have outdone yourself with this one!! I'm so glad that you are obsessed, but I'm even more glad that you are so willing to share your ideas!!! BEAUTIFUL!! The flowers, the layout and your dd!!! Wow! I always adore Gabrielle's work! 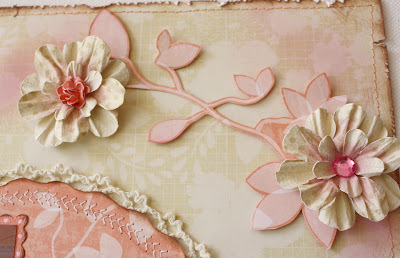 Just beautiful and I love that fabulous tutorial!!! Stunning layout Gabrielle and I love your flowers. simply love it. Absolutely stunning!!! Thank you for the step by step instructions. Beautiful layout and flowers! 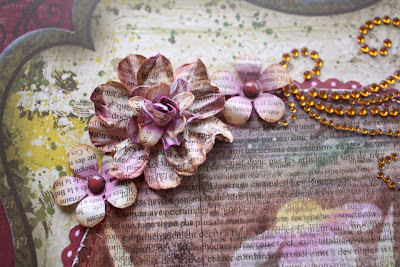 Makes me want to do a really girly page! (I have 2 boys & a girl, so I do a lot of neutral pages.) Thanks for the inspiration! I don't remember how I found this site, but I'm so glad I did. I follow you everyday and I just love the designers. They come up with great and easy ideas to put into my own cards and scrapbook. oh these are just beautiful blooms. I am going to have to make some of these. Thanks for the tutorial. 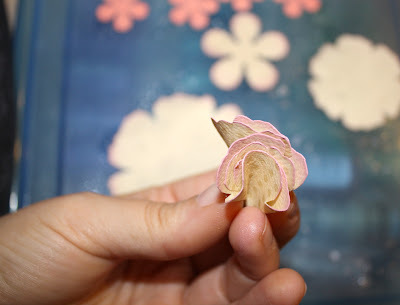 Thank you so much for the tutorial on making the flowers! 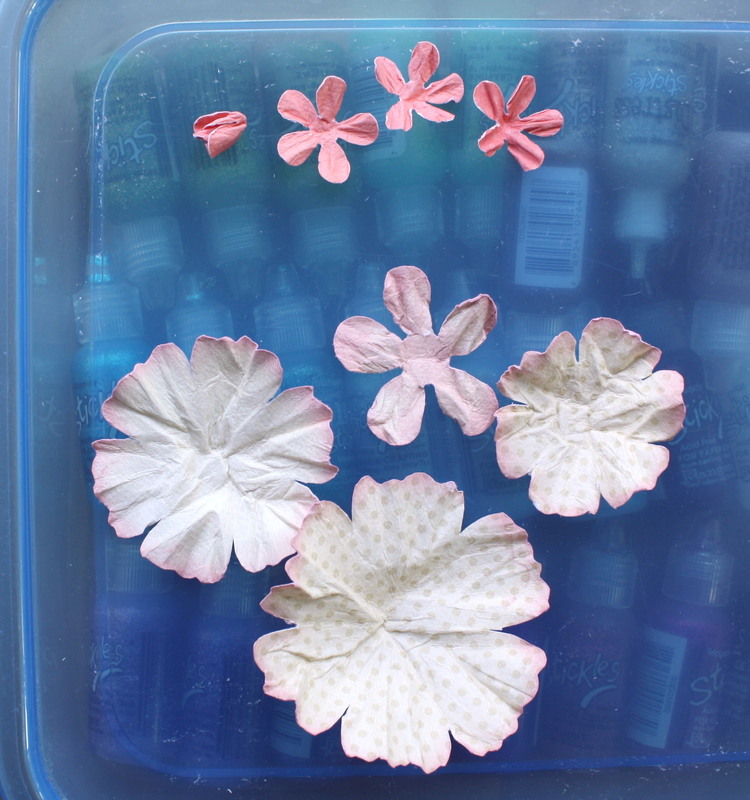 I was at it all day yesterday and if I must say so, I created some darn cute flowers. These are amazing - I cant believe how professional they look and cant wait to have a go! Found your flowers via Pinterest -Very Lovely! Thanks for sharing.